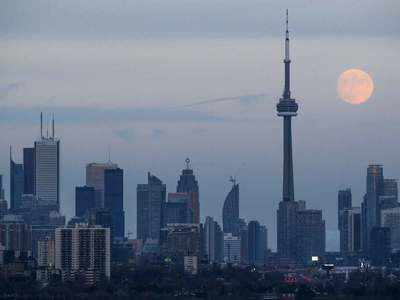 MUMBAI: Canada has emerged as a coveted destination for India’s diaspora. Indians appear gung-ho about Canada’s Express Entry programme which invites topranked candidates — under the country’s point-based immigration system — to take up permanent residency. Express Entry is Canada’s flagship programme for key economic migration. 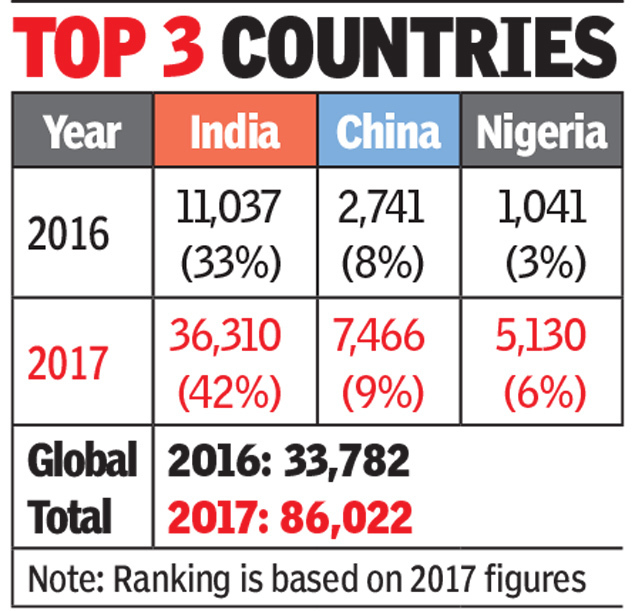 Under the scheme, out of the 86,022 invitations sent in 2017, nearly 42% (or 36,310) were to those holding Indian citizenship. The total number of invitations sent in 2017 was more than double the previous year — 33,782. In 2016, the number of invites sent to those having Indian citizenship in Canada was merely 11,037, showing an increase by more than 200% a year later. According to the Express Entry Year-end Report, 2017, issued recently by the Canadian government’s immigration division, a little over one lakh applications were received for permanent residency under the Express Entry programme in 2017, 86,022 invitations were sent and 65,401 permanent residents and their families were admitted into Canada. Nearly 40% of this total or 26,000-plus Indians became permanent residents in Canada. Among those applicants who had job offers and were admitted as permanent residents, occupations like information system analysts, software engineers and designers, computer programmers and university lecturers topped the charts. These statistics, showing an increase in number of Indians opting for Canadian permanent residency, strengthen the belief that many H-1B visa holders, tired of the backlog and infinite wait for a green card in the US—a green card grants permanent residency on American soil—are now heading towards Canada. Currently, more than three lakh Indians in the US are waiting for a green card, CATO Institute, a Washington-based think tank, states that given the green card backlog, the waiting period for Indians with an advanced degree (those in the EB-2 category) could be as much as 151 years. Also with the ever extending green card wait, permanent residency in the US was out of question, for Rangnekar. He and his family moved to Toronto in 2016. “We love the accepting Canadian culture, the diversity, high quality of life, great support and education system for kids,” he said. Today, Rangnekar hosts a platform which helps a significant number of Indians currently on H-1B to find jobs in Canada. Canada has a point-based immigration system. Under the Express Entry programme, candidates complete an online profile and are given a comprehensive ranking system (CRS) score. They are then placed in the Express Entry pool and ranked relative to each other based on their CRS scores. The pool is dynamic and a candidate’s rank can change as others join and leave the pool, or when the ranking criteria are adjusted according to ministerial instructions. A candidate’s CRS score can also be revised on various grounds, for example if he or she obtains more qualifications or skills. Only top-ranked candidates are invited to apply for permanent residence. The CRS score is divided into two portions. The core score can reach a maximum of 600 points and is based on the candidate’s age, education, official language proficiency, work experience among other criteria. Second, a maximum of 600 points are awarded to the candidates if they meet policy or other objectives like having a provincial nomination, a qualifying offer of arranged employment, Canadian educational credentials, French-language proficiency and a sibling in Canada. The maximum score a person can get is 1,200. Express Entry draws are held periodically. The most recent was this month, which had a CRS cut-off threshold of 451 points and will result in 3,750 candidates being invited for permanent residency. In 2017, of the 86,022 invitations to apply for permanent residency, 38,932 (or 45%) were sent to candidates with a CRS score between 451 and 500, and 33,252 (or 39%) were sent to candidates with a score between 401 and 450. This relatively low cut-off is good news for those aspiring to move to Canada. Please contact us for more details on how to migrate to Canada with your family at below mentioned contact details.